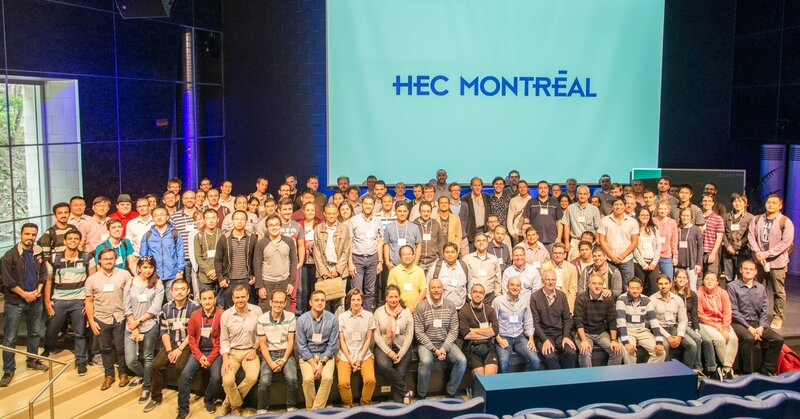 The 2017 Mixed Integer Programming Workshop was held June 19-22, 2017 at HEC Montréal (Québec, Canada). The workshop program is composed of a limited number (~ 20 to 25) of invited talks on recent and typically unpublished work on MIP. The talks are organized in a single track and scheduled to leave ample time for discussion and interaction among the participants. To encourage participation of students and junior researchers, no registration fee is charged and limited travel support is available. The workshop is made possible by the generous donations of our sponsors. The workshop features a poster session, in which the attendees can present their work on MIP related topics. Please see Posters section for details and deadlines. Workshops are held annually in North America. The previous workshops were held in New York (2003), Minneapolis (2005), Miami (2006), Montreal (2007), New York (2008), Berkeley (2009), Atlanta (2010), Waterloo (2011), Davis (2012), Madison (2013), Columbus (2014), Chicago (2015), Miami (2016). Workshop dates and location are announced. The list of speakers is announced. The poster submission deadline is announced as March 1, 2017. Registration is free and open until April 30, 2017. The (tentative) daily program is posted online. PDF file of full program is now available here. Selected presentation slides and posters are posted online.